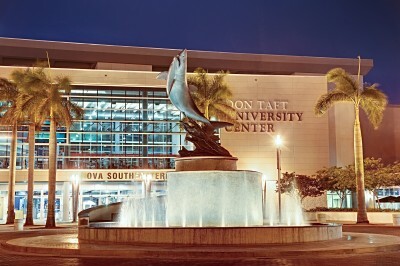 FORT LAUDERDALE/DAVIE, Fla. – Times Higher Education and World University ranked Nova Southeastern University (NSU) as one of 20 universities in the world and one of only nine universities in the U.S. that “could challenge the elite” universities and become globally renowned by the year 2030. Firetail, a higher education strategy consulting firm, identified these 20 institutions out of 346 originally considered that have an opportunity to become a new generation of “challenger” universities that will be quick to rise in rankings globally during the next 10 to 20 years. The rise will be due, in part, because of the institutions’ long-term visions and short term execution strategies as well as an understanding of the changing world and their role in it. Among other factors, the study found these universities also have a clear view of the people and cultures that are needed to be successful and are focused on innovation. About Nova Southeastern University (NSU): Located in beautiful Fort Lauderdale, Florida, Nova Southeastern University (NSU) is a dynamic research institution dedicated to providing high-quality educational programs at the undergraduate, graduate, and first-professional degree levels. For more than 50 years, NSU has been awarding degrees in a wide range of fields, while fostering groundbreaking research and an impactful commitment to community. Classified as a research university with “high research activity” by the Carnegie Foundation for the Advancement of Teaching, NSU is 1 of only 50 universities nationwide to also be awarded Carnegie’s Community Engagement Classification, and is also the largest private, not-for-profit institution in the United States that meets the U.S. Department of Education’s criteria as a Hispanic-serving Institution. Please visit www.nova.edu for more information about NSU and realizingpotential.nova.edu for more information on the largest fundraising campaign in NSU history.